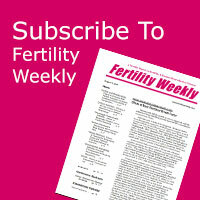 Extensive Coverage: Weekly, comprehensive coverage of the latest developments in the fertility field. We cut through the clutter of information and bring you the facts you need to know to succeed in your work. Since 1995, Fertility Weeklyhas been there, providing the news you need, when you need it. Timeliness: The latest research findings, worldwide news, and periodical reviews. This provides you an opportunity to learn from your peers (and competitors) about research being conducted, all from a global perspective. Annually, we feature 45 issues covering 52 weeks. That’s over 1200 pages of 1400 + articles to ensure you’re among the first to know about all fertility and human reproduction technology news. Conferences: Weekly conference abstracts that provide the latest news and developments from the world’s leading conferences. Fertility Weekly brings the conferences to you. 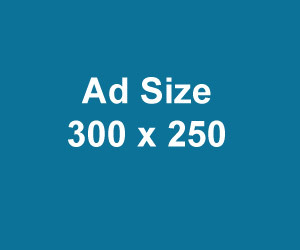 Typically, we report 500+ articles from 50+ conferences! Fertility Events Calendar: An extensive calendar that keeps you completely updated on future conferences. You’ll never overlook an important event again. Focused Insights: We ask our readers what issues are important to their work and incorporate them into Fertility Weekly to ensure that we publish a product that is focused on the news you need. Opinions and Analysis: Plus the latest opinions and analyses from top researchers in the field and from our staff of un-biased, incisive, and professional medical writers. Satisfaction Guaranteed: If you find Fertility Weekly does not meet your needs or expectations, just cancel, and we will refund your money on all unmailed issues.